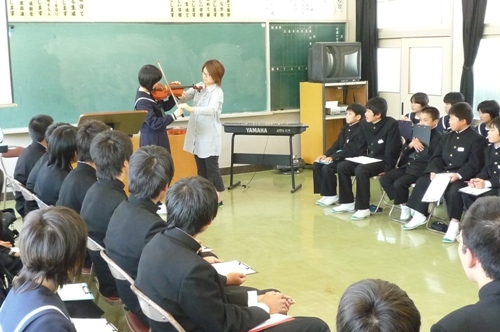 Pro-violinist visited our school to teach the joy of music! She brought us her 50,000 dollar violin and taught us how to play the violin. On July the 10th she will visit us with her three mates to play for us!